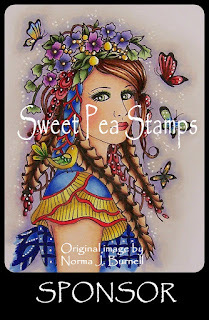 This week we are being sponsored by talented Designers over at Sweet Pea Stamps. You should really pop over and check out the fabulous images they have to share. We always have so much fun working with their delightful digitals! I love how you colored this sweet image, and the patterned paper you chose for the background is so pretty! 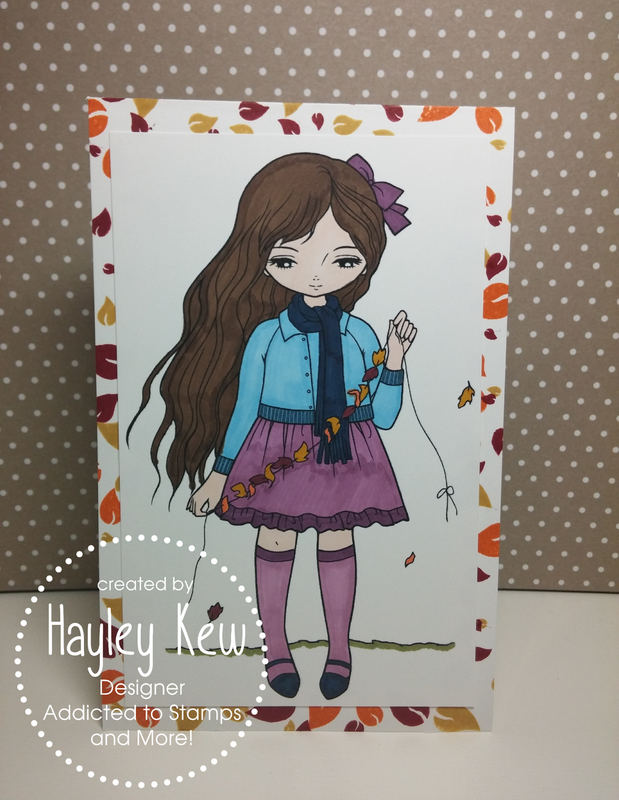 Beautiful card, Hayley! 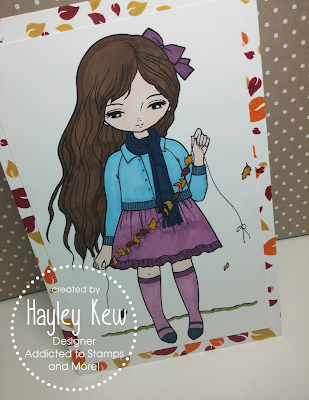 Beautifully colored as usual - love the background paper matching the string of leaves! Leafy background is gorgeous! And colors - love them. What a beautiful image, she has such a pretty face. And I love that background you created, those autumn leaves are brilliant! !